Its a Wonderful Movie - Your Guide to Family and Christmas Movies on TV: News on "Hallmark Channel" Christmas Movies for 2014 and Beyond! I know... I couldn't believe I found this bit of news already! It adds to my excitement for this next Christmas Season and I knew you would all love hearing about them, too! Let the countdown to Christmas 2014 begin!!! Btw... I absolutely love "A Princess for Christmas", too! I so agree - I can't wait for another "Royal" one, too! Hope we love it just as much!!! Hey, Net, I'm thrilled to hear Hallmark will air Christmas movies Nov. 1st. again next year. To me they're the best in holiday viewing. I loved all the new movies this year especially Christmas in Conway. Happy New Year and thanks for all your "good works"!! 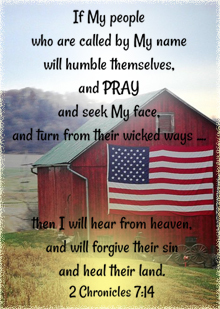 Oh, thank you, Linda, over and over again!!! Happy New Year to you! So glad you loved so many of the Hallmark Movies, as well. Thank you for that great news, looking forward to watching them in 2014 even though we are still working through a backlog of 2013 christmas movies. Best wishes to you and your family for 2014. Us too, Gary. 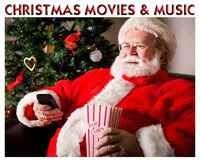 I think we finished up mid-January with watching all the new 2013 Christmas Movies we had recorded!!! And yet, it's exciting to look forward to next year. I so agree!!! The "NORTHPOLE" sounds like it has some promise. The other three sound like a different spin on other Christmas movies that I don't care for. This year was good, I just hope Hallmark comes up with new and original plots for these movies. I agree... NORTHPOLE sounds interesting and they are already marketing this new 2014 Christmas Movie as a movie we will cherish and want to see over and over again for years to come! So now... I am more intrigued than ever!!! I am sure some movies will be uniquely fresh and others will be familiar and similar to past movies. Whatever the case, let's hope we will still love most of them! Thanks for keeping us up to date on movies. You do a great job!!!! That's what I do, too, Patty!!! I love so many of them. It's hard to find enough space on the machine to record the ones I love and just can't delete! Happy "CTC" Countdown to Christmas 2014!!! Yay! Thanks for the update! I was hoping for a sequel to A Princess for Christmas. Oh, well. Looking forward to what the others will be about! I'm least looking forward to the Groundhog Day one. The one done this year wasn't good. Oh, I love "A Princess for Christmas, too!" I know this one does sound similar - so it will be interesting to see what differences are made between the two. I can't wait to share and see them all! I so hated to see the end of CTC 2013 come to an end. and DVR Christmas movies to get me through. I love the Hallmark channel and especially the CTC movies and cannot wait until Nov 1, 2014. I also look forward to July for the Christmas in July weekend as well as the release of the Hallmark 2014 ornaments. 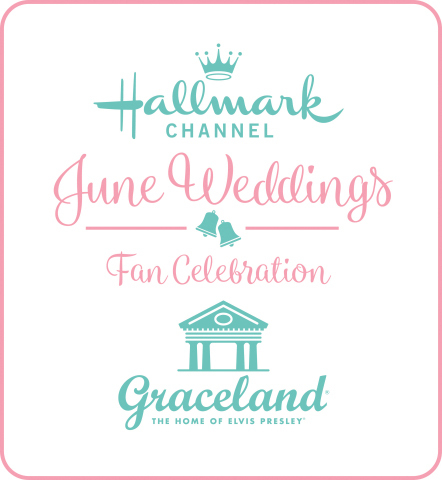 Thank you Hallmark Channel you are my most favorite tv channel and that is usually where my tv is kept. Tami, I feel much the same... sad to see it go, however, excited now for this upcoming Season! That is what makes it so special... the waiting! I, too, hope Hallmark does "Christmas in July" again! Then we don't have to wait quite as long! So HAPPY to hear Hallmark continues with the Christmas movie tradition in 2014!! Always look forward to Nov 1!!!! Oh, me too! I love that they have already told us to expect it back next November 1st! They have won me and every Christmas Movie lover completely over!!! This is wonderful news! Sad that the Christmas movie season is over even though it somehow lasted two months! 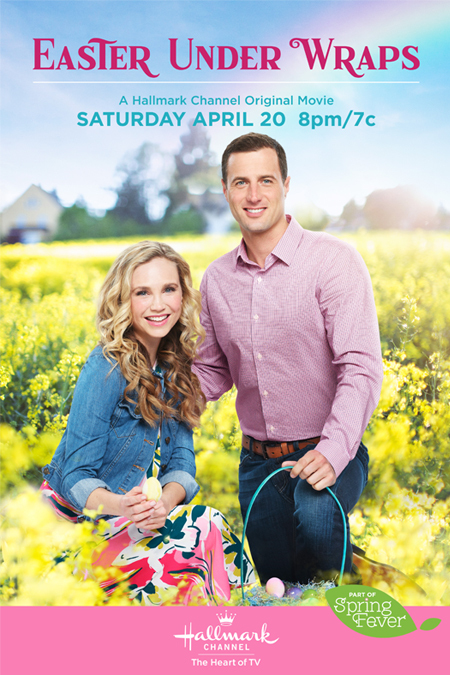 At our house, we watched all of the new movies from Hallmark this season but recorded many old ones that we haven't seen, as well as others on the UP Network and the ION Network. This year we're going to watch one every couple of weeks to try and remain in the wonderful Christmas spirit that so many people tend to forget about as soon as December 26th rolls around. Thank you for keeping this website running and getting us all excited about the new Christmas movies of 2014 as more information is released! That sounds wonderful - playing a Christmas Movie every couple weeks! We have been doing that a little bit throughout January, whether it's a Christmas Movie or Christmas themed sitcom and I love it!!! Actually, as I type right now, I am playing Candace Cameron Bure's movie - "Let it Snow". Such a cute Christmas movie! Thank you for being a great visitor and for participating in the joy and excitement of the Christmas Season - all year long!!! I want to purchase part 1 & 2 of "Loves Christmas Journey". Please tell me where I can buy them. They are my favorite of the "Love" series. Oh, I love "Love's Christmas Journey"! You can order it on DVD at Amazon. 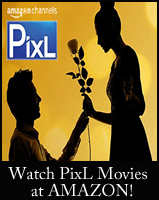 Just click here to see the DVD and buying choices. Just bookmarked it so I can come back often. Excited about CTC 2014...especially Northpole. I collect most of the Hallmark holiday movies when they become available. As I am new to your site, I was wondering if you post release dates of said movies? If so, it would save me a lot of browsing from site to site. My hope is that one day soon, Hallmark will premiere the "Hallmark Holiday Channel"...wouldn't it be awesome if you could tune into a great Hallmark holiday movie anytime? Thanks again for a great site!! I absolutely enjoyed snowbride....this is the only place to be for the Thanksgiving and Christmas holidays....it is without equal. Thank you for the wonderful Hallmark Movies I so look forward to the count down to Christmas my favorite time of year love the holiday movies and already looking forward to Christmas 2014 starting Nov 1 can not wait for the old and the new. Keep up the great family movies we so love. Love, love, love Hallmark channel especially the Christmas movies which we view year after year. How about a follow-up with Henry Winkler in "The most wonderful time of the year"
Keep doing this every year I love it. 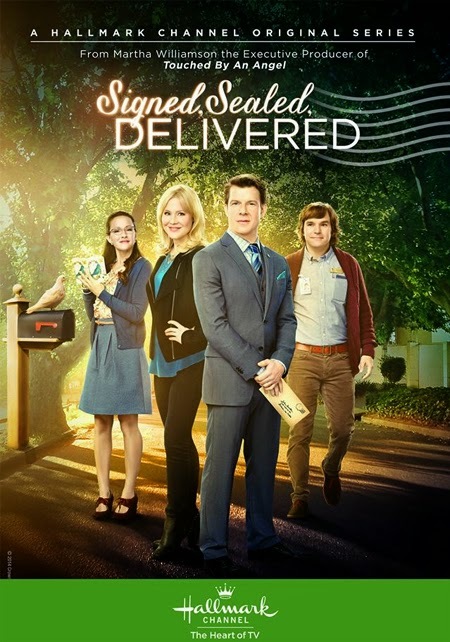 Please, Hallmark, more seasons of Signed, Sealed and Delivered? can you please tell me if they will be releasing the movie "Angels and Ornaments" on dvd? If so when? I loved all Christmas movies but that one was my favorite!! !